We all know the drill – the weather gets cold and suddenly the idea of sitting inside where it’s warm and cozy seems like the only thing to do. It’s not like we don’t want to enjoy the beautiful nature that surrounds Denver, or we’re not appreciate of what’s going on around town, but let’s face it – cold weather calls for one thing and one thing only –Spiked hot drinks and soothing teas and coffee. 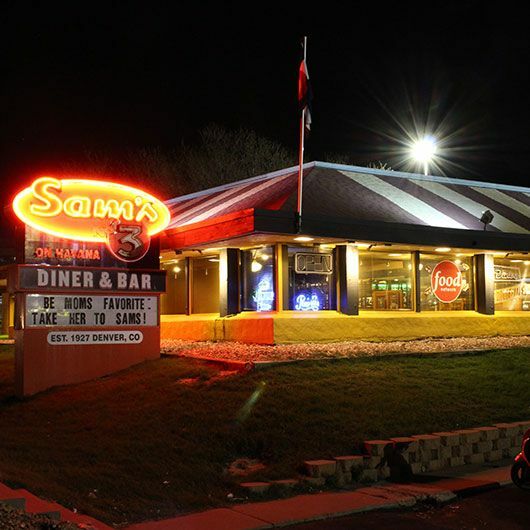 And our Denver diner has plenty of choices to offer. There’s no better place to have your holiday gathering than at one of our three Denver locations. With different vibes in each spot, Sam’s No. 3 has the perfect place for your to celebrate this festive season with your friends. Hot drinks get all the attention for good reason. The cups are fun to hold, the spiked versions make you warm inside, and sipping from a giant mug of boozy goodness is just delightful. If the hard stuff isn’t your speed, no worries – we have plenty of booze-free options for you too. Aromatic cinnamon, cloves, and cardamom combine into a perfect Chai Tea Latte. It’s probably our favorite drink right now because it’s so warming and deeply satisfying. If you need a kick in the you-know-what, have an Americano. That’s three hearty shots of espresso, ground and pressed just for you. Fair warning –after drinking it, you might decide the holidays are the best time of the year. Who doesn’t love a good mimosa? Channel your inner Russian with our signature Siberian Stoli-Man-Mosa, a robust mix of sparkling bubbles, stiff vodka topped with a splash of fresh orange juice. If this season is just too much and you can’t even, give our 3 Alarm Bloody a try. It’s a beer sized glass full of classic Bloody Mary flavors with our secret sauce mix added in for that extra boost of fire. Holidays aren’t supposed to leave you in a ball of stress with painful longing for them to be over. We can help take the stress out of the season and replace it with serenity. 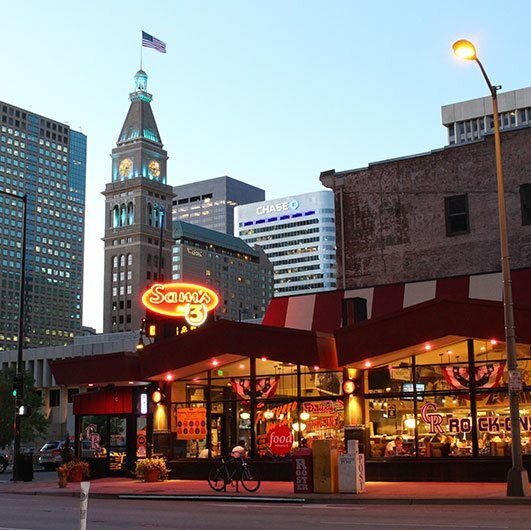 The spiked hot drinks and comforting coffees from our Denver diner will help you get back to feeling the love that this time of year is supposed to bring. 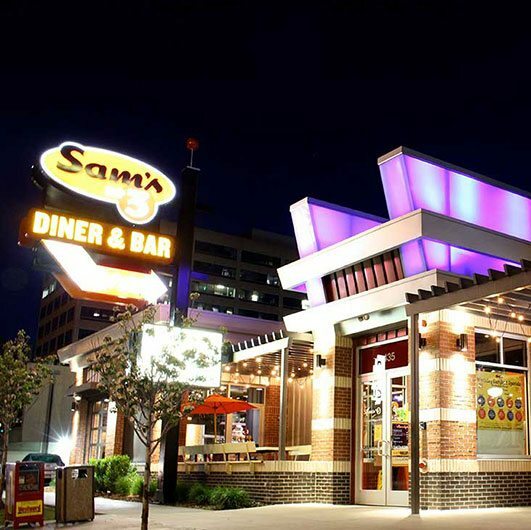 Our three locations means you’re always close enough to a Sam’s. Stay connected on social and come in to see us!